Perrin performs two original songs for MN Original onboard a gondola floating down the St. Croix river. Accordionista, chanteuse and theater artist Simone Perrin has performed with the likes of Kevin Kling and the Guthrie Theater company. 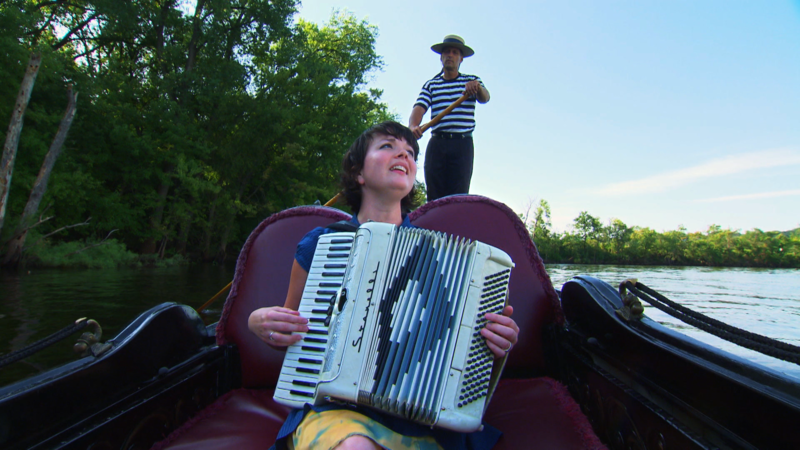 Here Perrin performs her original song Burden Lullaby onboard a gondola floating down the St. Croix River. Perrin was guided through the high river current by Gondola Romantica owner John Kerschbaum who shipped his custom-made boats from Venice to Stillwater, Minnesota. Accordionista, chanteuse, and theater artist Simone Perrin performs.